PLEASE NOTE: This DVD title is out of stock and will no longer be produced in DVD format. The H2H: Kettlebell Drills in DIGITAL DELIVERY video format is available and is what you will order when you click Add To Cart. H2HII: Harder. Faster. Stronger. 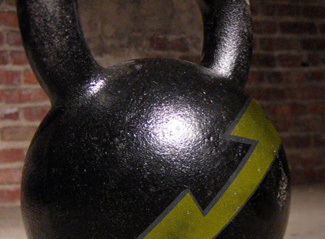 is filled with 50 innovative drills that will take your H2H kettlebell training to an advanced level. Six 6-Minute Solutions for Ultimate Strength Gains & Fat Loss! This 90 minute digital delivery video teaches over 25 pull-up related exercises, including pulling, pushing, and core exercises. Plus 3 bonus exercises. Learn from the pro! Once purchased, this video is downloadable as well. Save money when you purchase these three DVDs together! Save money when you purchase the 2 SHOT DVDs together! Save money when you purchase these 4 videos and 4 DVDs together! The videos marked Digital Delivery Version are not available as physical DVDs. You will receive an email with links to view and download these videos after your purchase is complete.